On the 24 May 2017, Council begun to replace all of the townships streetlights with 855 smart LED lighting fixtures. 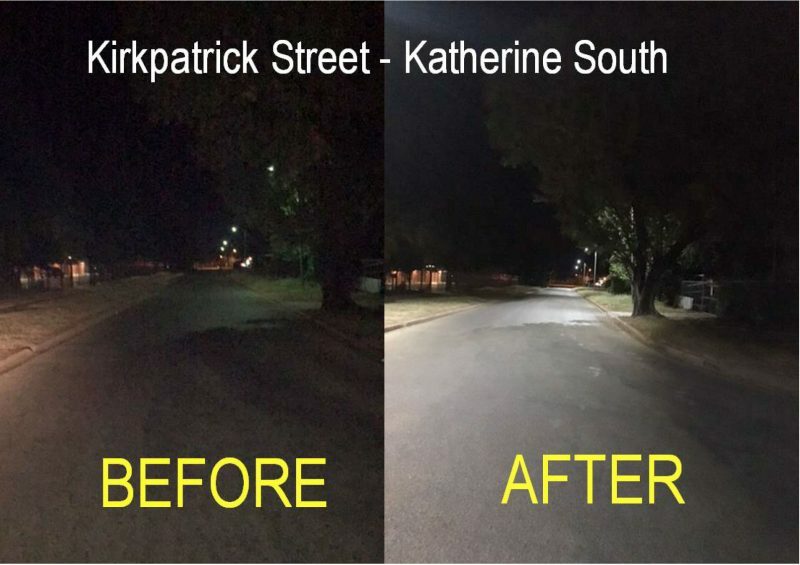 Although replacing streetlights with LED fittings is becoming common practice, Katherine town Council (KTC) have also deployed a city wide smart lighting control system to monitor and control each individual light fitting. 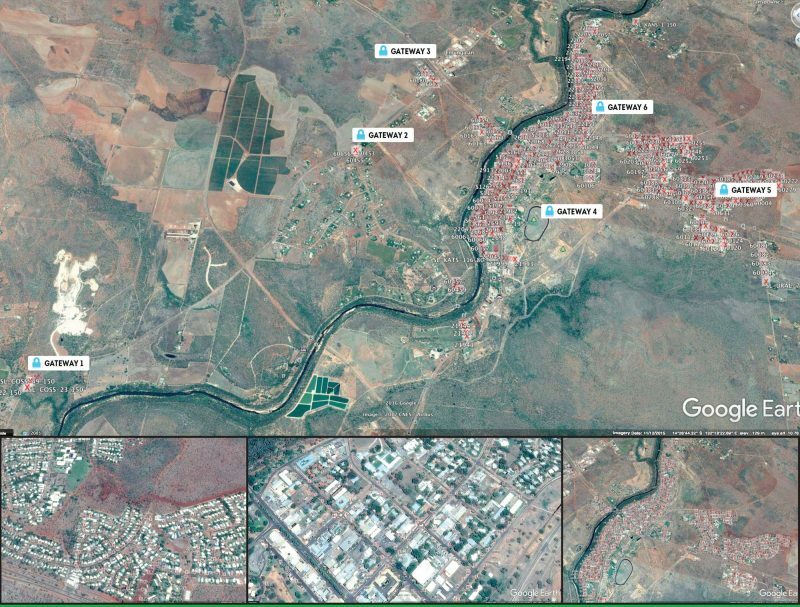 In an Australian first, Katherine is integrating LED lighting with a smart lighting control system for an entire town. This system will incorporate advanced real time power monitoring and lighting controls with the ability to also monitor and control its solar lighting assets deployed in the parkland areas into one central management system. 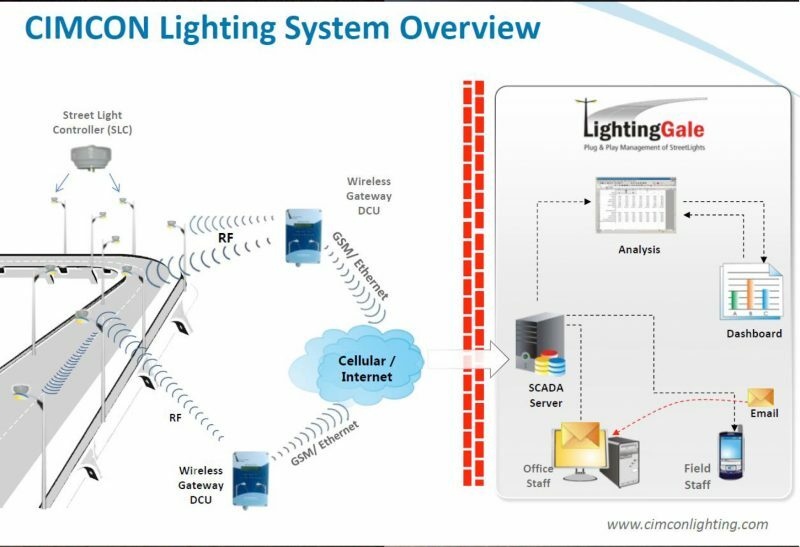 This is deployed in a 3G-4G highly secure cloud based solution developed by Green Frog Systems in Adelaide and its technology partner Cimcon Lighting from the USA. Even though Katherine’s township is spread out, we only require 6 gateways (data coordinator units) across the whole township to control the 855 lights. The complete system communicates the status of all lights with no dependence on existing IT infrastructure in the field as it communicates by a SIM card based device (gateway) connected to the Telstra network on selected light fittings that uploads to the cloud. What makes this system unique is that each light reports back its actual power consumption in real time enabling Council to identify actual power usage instantaneously or use its in-built historical reporting based on billing cycles from its electricity retailer. Although in a pilot mode it is hoped the actual power measurement will enable a cost recovery model based on actual usage rather than a fixed cost per quarter for each street light currently by Power and Water NT. Other in-built features include real-time reporting of light status, including the type of faults – such as no power, LED driver or LED failure and a unique sensor to notify KTC staff if a pole has been knocked over by a vehicle enabling rapid repair response. The system will allow dimming of the lights for use in non-street environments but will eventually enable us to pilot dimming of streets. Specific modifications to the light fitting under direction from KTC has allowed the installers to replace a light fitting and commission the light in 15 minutes enabling the whole project to be completed within 1 month of commencement. 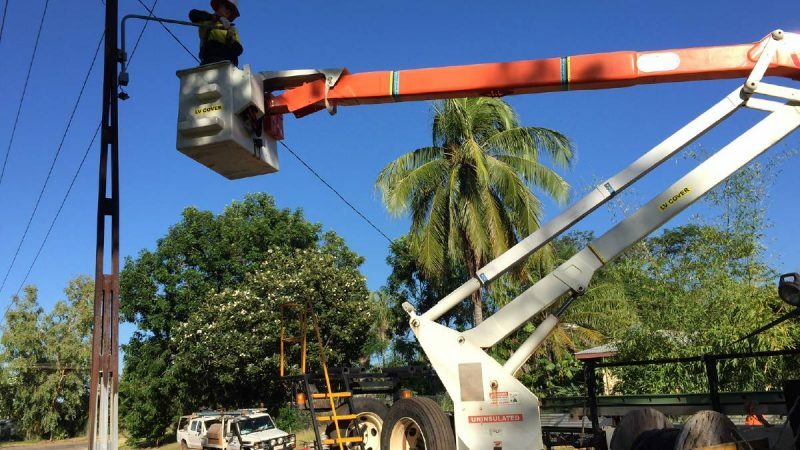 The project will remove Power Water Corporation forecast Capital charges of $206,000 to ZERO as the street lights are now a Council Asset.Katherine Town Council are excited to be able to introduce this technology that will provide increased cost efficiencies and flexibility to our community. *SENTINEL 50W Street Lights pictured above were deployed city-wide in this latest street light upgrade.